After a long week, I wanted nothing more than quality time with my man and my boy. 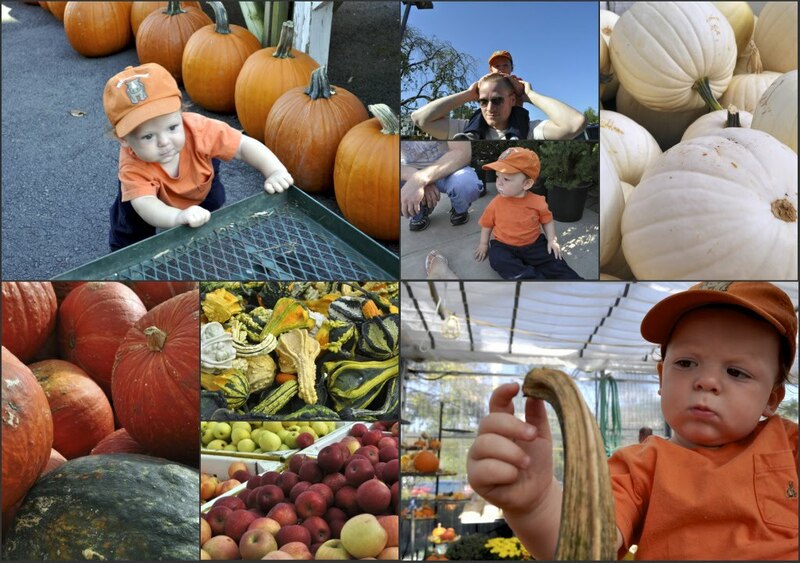 Our best intentions to visit the Big Pumpkin Patch were thwarted two weekends in a row, and so we found ourselves at a local nursery with plenty of freshly picked produce from the Cucurbitaceae family. Roscoe pushed our cart from here to there, and inspected and picked at everything he bumped into. We brought home a family of pumpkins that we'll look forward to carving later this month. 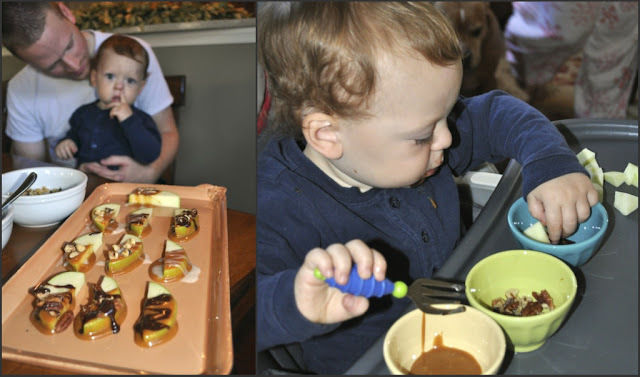 Once back home the mood for caramel apples struck and I decided to do it up toddler-style, with apple slices and dipping bowls. Caramel, milk chocolate, white chocolate, and toasted pecans and walnuts. I made a little plate for presentation, but Roscoe did his own handiwork. Then it was craft time! 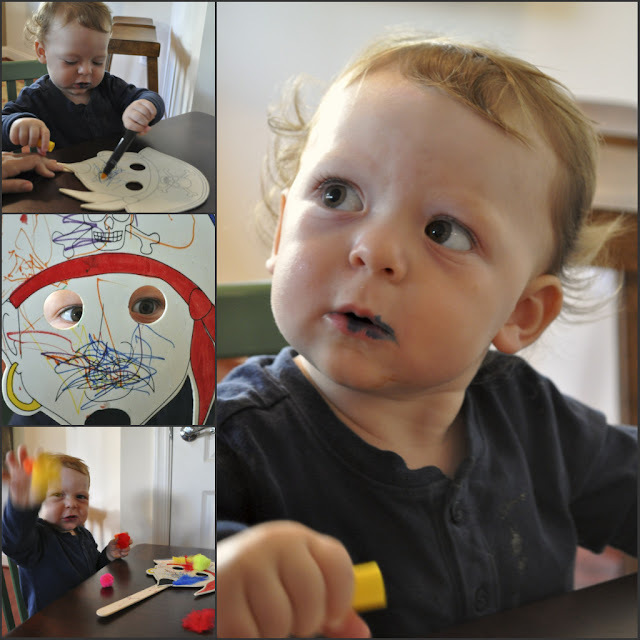 Roscoe just recently graduated from eating his markers to drawing with them. The other day I found a wooden pirate mask at the local craft store, for one dollar. He likes it more than I thought he would and cracks up whenever we bring out the "Argh, Matey" and "Shiver me Timbers"! We only got around to doing one of our crafts, which leaves pumpkin painting for this weekend!